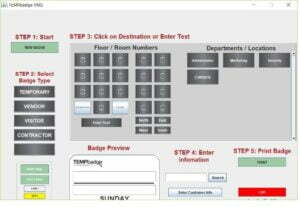 According to MeU Solutions’ CEO, they have announced the first new release for their product called Visitor Management System (VMS). In this release, VMS provides a range of basic features which facilitates and manages entrance and exit of all visitors (or subjects) at an organization (office building, hotel, hospital, zoo, museum, …). High usability and compatibility with many devices and platforms are two factors to help their products enter the market in Vietnam. MeU Solutions’ CEO also shares that they have obtained an agreement for selling this product to Maritime Administration and they will introduce the product to some target resorts at DaNang, Vietnam. VMS is a great evidence to that MeU Solutions is not only an outsourcing vendor with focus on the right and efficient solutions (Testing solutions included but not limit manual testing solutions, automation testing solutions, agile testing solutions, security testing solutions, performance testing solutions; software development solutions included but not limit Mobile Application Development, Web Application Development), but also they are a solution-based firm by offering right solutions with their own initiatives and their own tools. Click here to explore more our solutions.